Can you believe we’re already talking back-to-school? My favorite part about moving back to college was always designing and planning my new apartment with roommates, which I guess was only fitting for an interior design student! 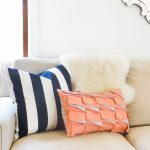 If you’re heading back to school this Fall & want to make sure your place is well accessorized, why not whip up some pillows? 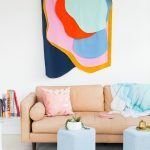 Now I, Erin, know DIY bloggers often over use the phrase ‘whip up’, but this truly is a ‘whip-up’ kind of project. 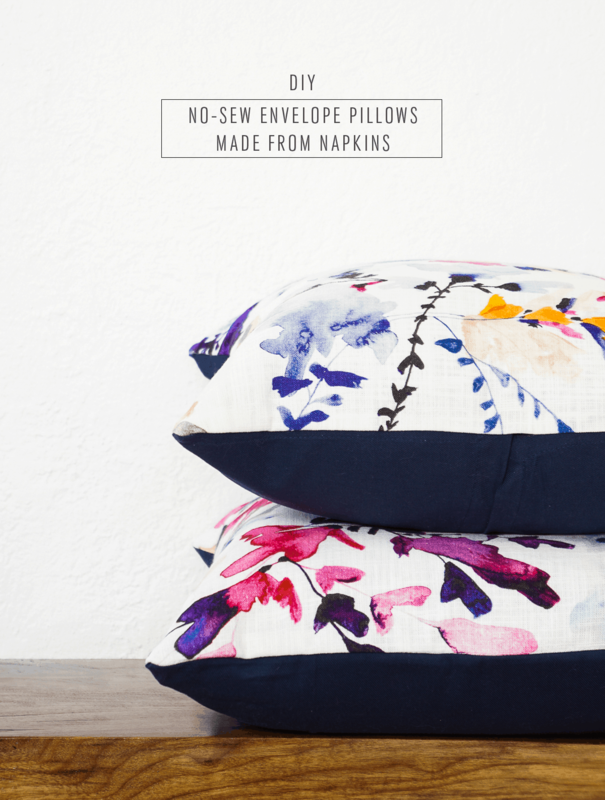 You see, these no-sew envelope pillows require not a stitch of sewing nor much cutting for that matter. They’re made from pretty fabric napkins and constructed with iron-on tape–a great technique alternative if you’re a non-sewer! 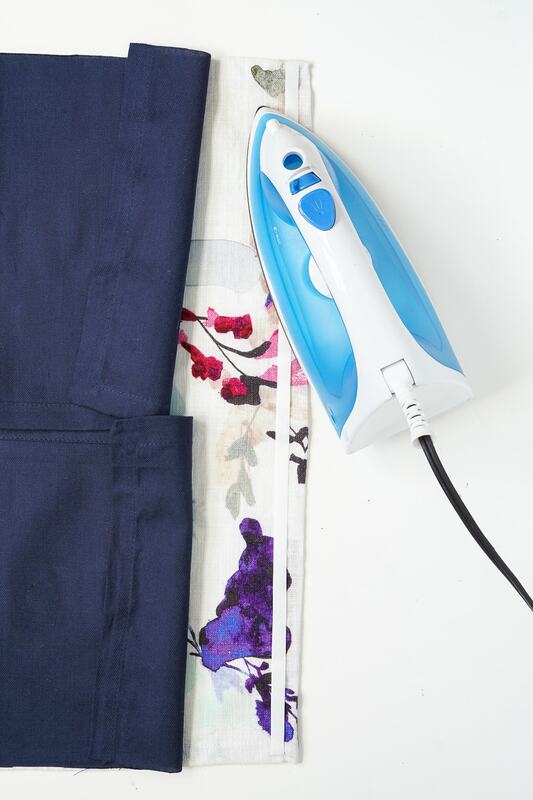 Preheat the iron to medium-high heat. Cut the solid napkin down the center using the pre-packaged fold line as your cutting guide. Lay the patterned napkin right-side up on your work surface, and place the solid napkin halves right-side-down over top of the patterned napkin, so they line up and the two halves overlap slightly at the center. Peel back the solid napkin(s) on one edge. 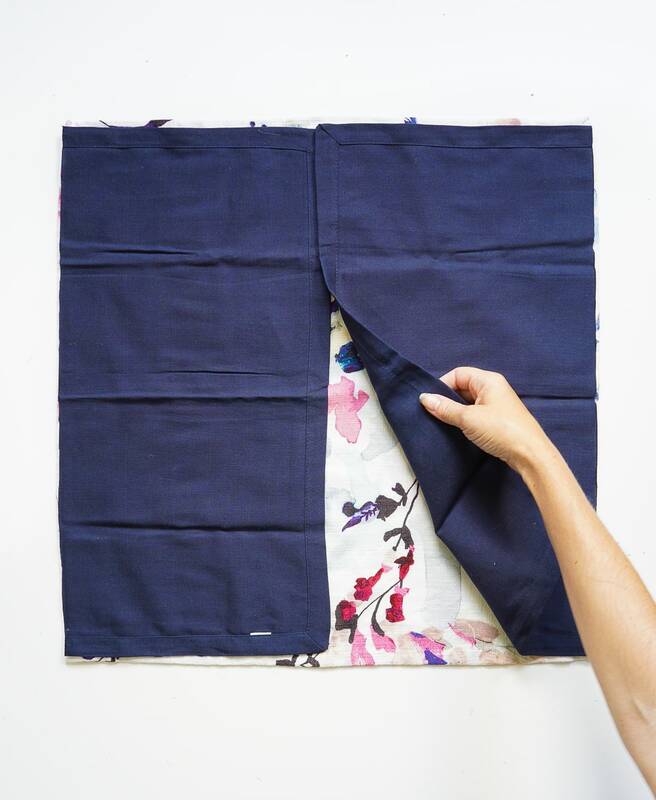 Lay the iron-on tape along the edge of the patterned napkin, fold the solid napkin back down to check to make sure the tape is concealed, and then fold back up. 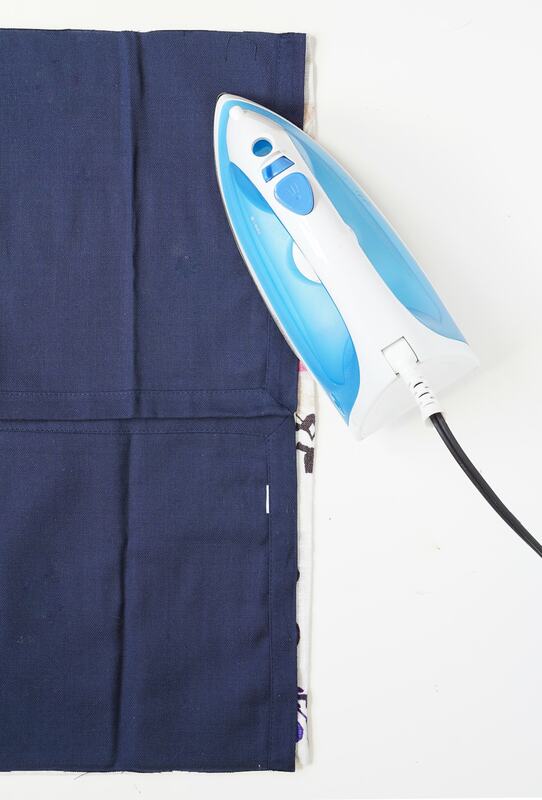 Use the hot iron to fuse the tape to the patterned napkin according to package directions. Allow the fabric to cool, and peel off the paper liner. 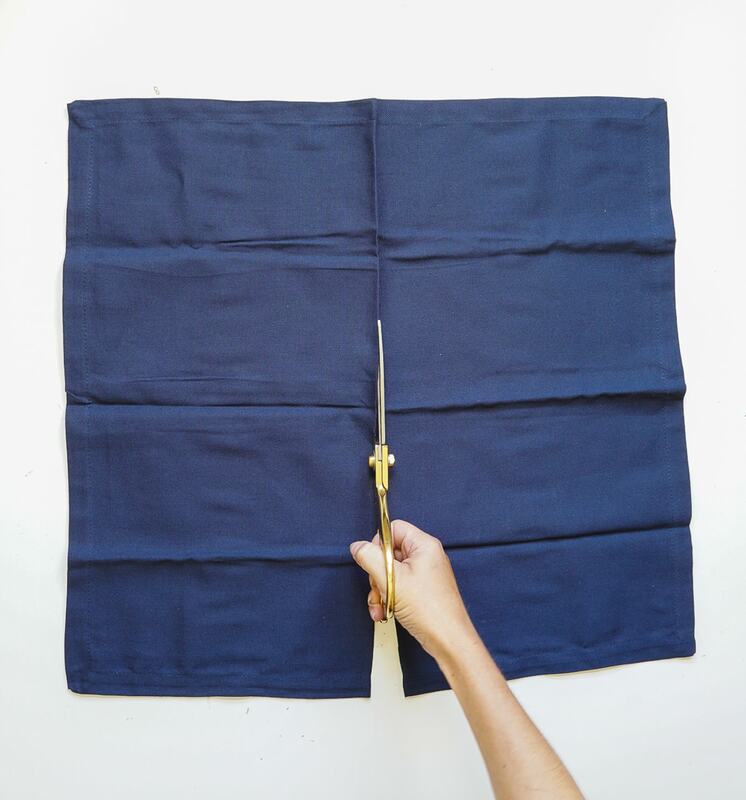 Then fold the solid napkin back onto the patterned napkin and fuse the two layers together with the iron, again according to manufacturer instructions. Repeat steps 3 & 4 with the remaining 3 sides. 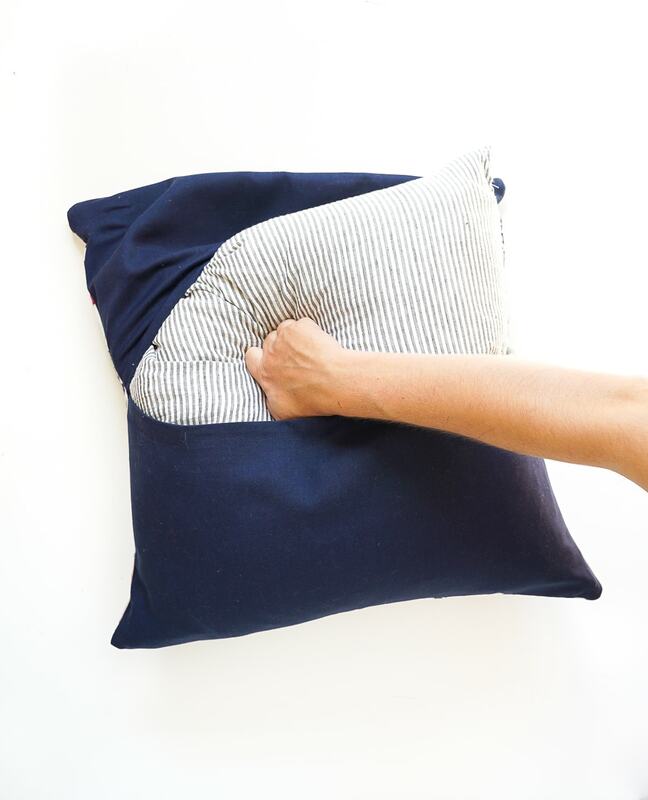 Turn the pillow right-side out and use a mildly pointy object (like a knitting needle) to form square corners. 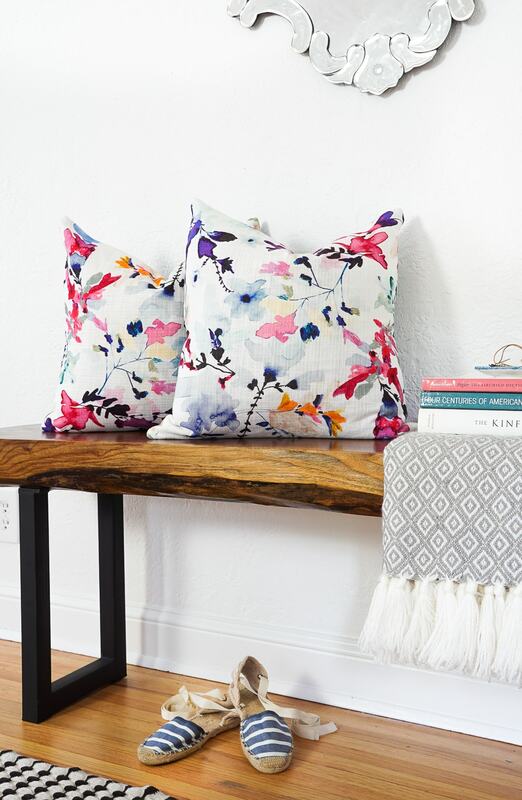 Stuff with a pillow form and style them up in your digs! 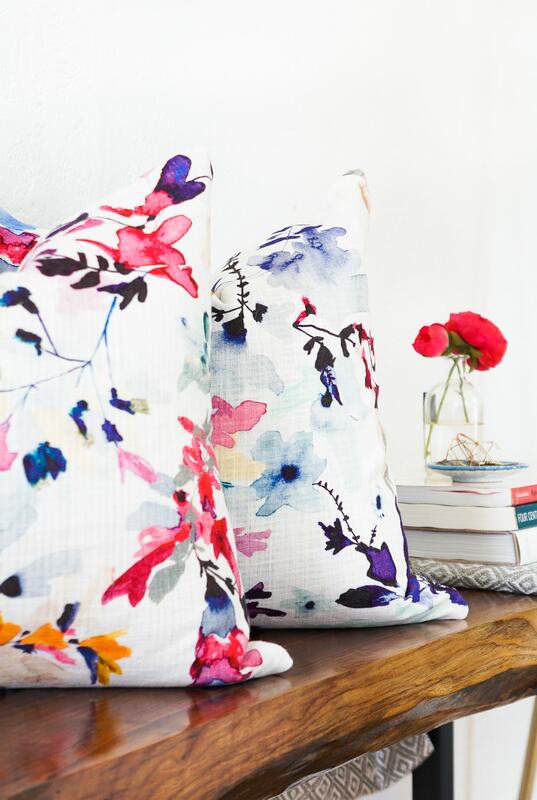 I chose this jewel-toned floral in an effort to help ease into Fall. 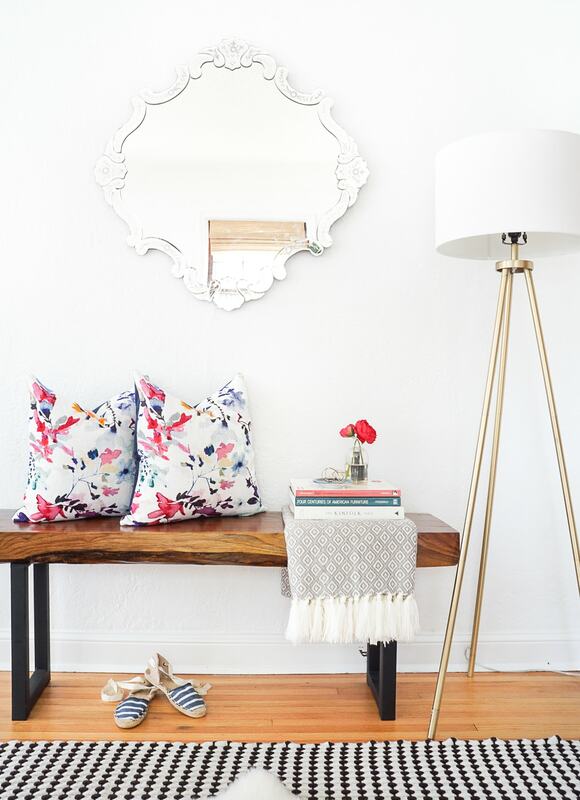 What patterns are you guys swooning over for back-to-school? Love these, thanks for the post! Where did you find these beautiful napkins? Hi Leslie! They’re from aNthropologie! Love these! Can I ask where the bench is from? 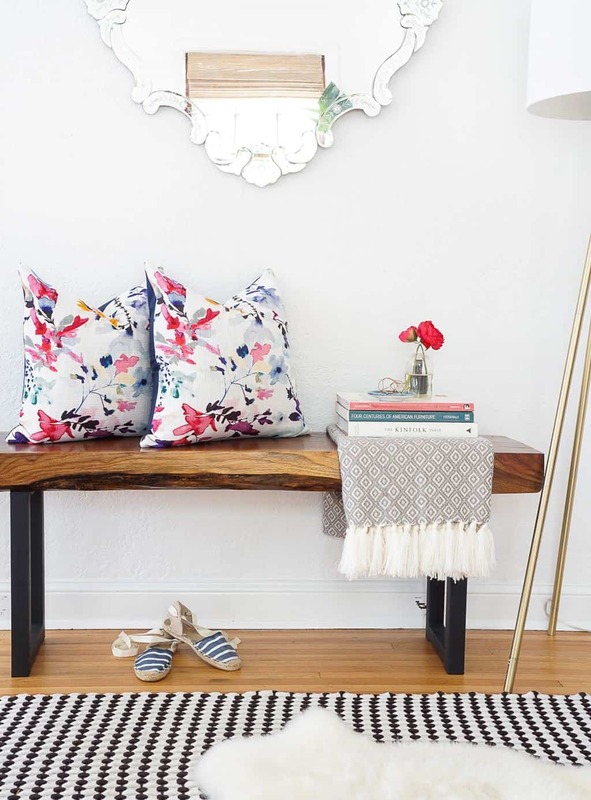 Love this DIY so much!!! I can’t wait to try it. It really does look like I can just whip up some pretty pillows. Yay! Glad you liked the DIY! 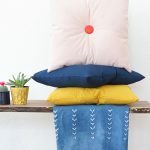 Thanks for sharing the no sew pillows. May I ask where the mirror came from?